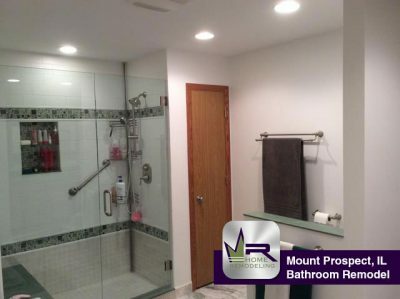 The owners of this beautiful home were ready to make some big changes in two bathrooms in their house. Both bathrooms were ready for some major design changes as well as changes in color scheme. Mount Prospect is a Village of 54,000 people located in Cook County. It is located 22 miles northwest of Chicago. The residential neighborhoods in Mount Prospect are known for their variation in style and design. 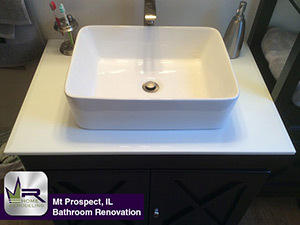 Mount Prospect borders, Wheeling, Prospect Heights, Arlington Heights, and Glenview.